In recent weeks, I have been on a crusade to protect my most precious asset: my time. I have undertaken the task of blocking every minute of my time during the day to be the most effective team member I can be. While I was initially surprised at the effort it takes to simply NOT do something else and do what I had calendared, it has proven to help me become a much more efficient team player who is not only aware of my time, but also more respectful of the time of others. In my continued discovery to find the most optimal way to spend my time, I recently came across an info graphic that I found very useful. Yes, it turned my whole “time blocking” system upside down, but after some tweaking and some careful attention to detail, it took my time blocking to a whole new level. 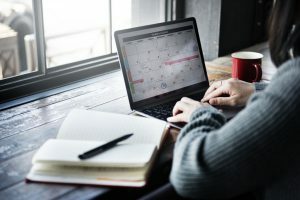 My calendar is not only set up for success, but I feel more prepared to handle the specific tasks at their designated times because, well… science says so. The idea is this: We have a routine – one that we stick to on a daily basis. And if you’re anything like me, things outside that routine are unexpected and often drain me, physically and mentally. But for most of us (myself included), that routine is arrived at somewhat haphazardly. Maybe someone else set our daily routine and we just stuck to it over time and have gotten used to it. Or maybe we think we are mentally prepared for something early in the morning, but in reality, we would be more productive and efficient if we held that company meeting later in the day. Check out this infographic from NetCredit – and get started on optimizing your calendar!